A special Thank You to all my fans. 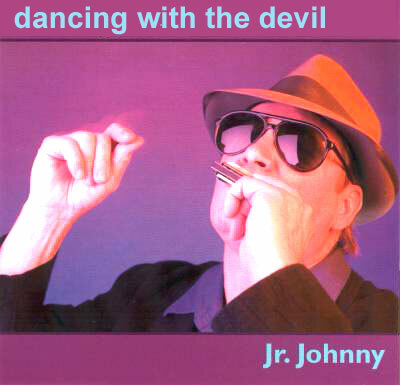 Response and sales for “Dancing With The Devil” has been OVERWHELMING! Due to your outstanding requests, “Dancing With The Devil” is now in its second pressing and supplies are available again. Students of the instrument would be well-adviced to pay attention to these tracks. Excellent guitar production also graces this package thanks to the efforts of Peter Corrigan and Russ Aldrich. The rhythm section (featuring Steve Minnich on bass and Mike Cairo on drums) is rock solid and Hymer Morgan is simply incredible at the piano and Hammond B-3 organ. It’s always good to find original blues that floursih in the present, yet are firmly rooted in the tradition that make the blues enduring and such a truly great American art form.